The PayPal payment gateways use API keys. This document will show how to get Live API keys. The process for getting Test API keys is documented in our PayPal Sandbox doc. If you haven't already, you will need to make sure your PayPal account is a Business account and not a Personal account. 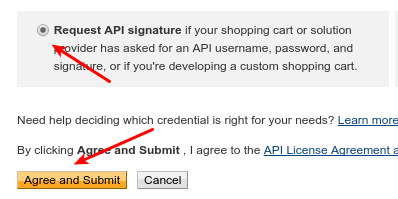 This is required for accessing the API interface. each with a Show link next to it. Clicking Show will will reveal the proper string for each item. Once you have those three items, in the WordPress admin go to Restrict > Settings > Payments and enter the three items in the PayPal Settings section. 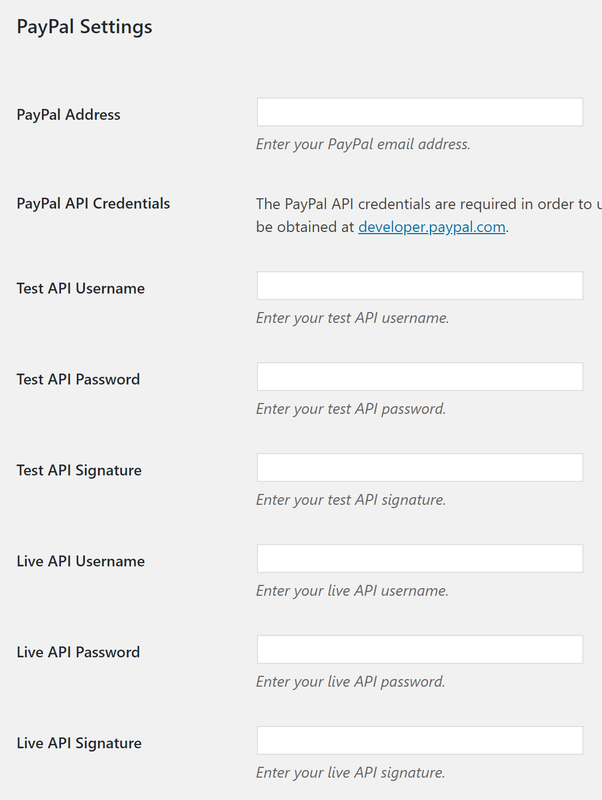 Getting Test API keys is documented in our PayPal Sandbox document. Take the Seller keys created there and enter them into the Test API fields you find under the Live API fields on the settings page mentioned above.